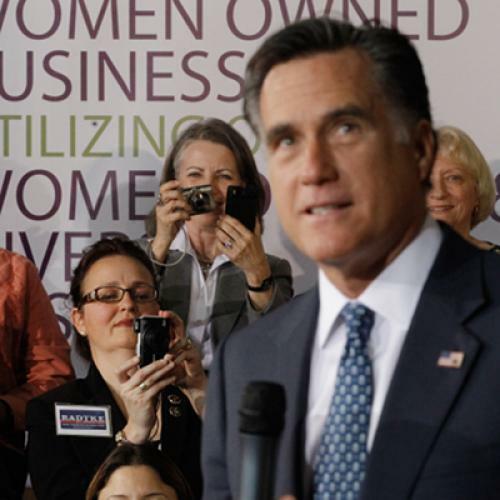 Have Mitt’s Women Troubles Been Overstated? A couple months ago, Democrats were taking comfort in the reports of the massive gender gap facing Mitt Romney, who was trailing Barack Obama badly among women voters. At the time, the size of the gap struck me as slightly counter-intuitive. Yes, Romney had just come through a Republican primary season that was not exactly designed to attract women swing voters, what with all its talk about limiting contraception access and such. It was clear why the Republican brand, at that moment, might not be so popular with women. But Romney himself does not seem like a candidate likely to exacerbate the traditional partisan gender gap, but rather one who’s likely to muddle it somewhat. He is, to put it bluntly, not exactly a guy’s guy—for one thing, he can not come close to matching the ESPN president in the sports-talk department. But he does exude the sort of competent, patriarchal, Ward Cleaver vibe that pundits have long assumed as holding an appeal for at least certain women voters, particularly married ones with kids. So what was up with women voters rejecting him to such a degree? Well, maybe not as much as it seemed at the time, as it turns out. That poll may well have been at outlier, but it’s becoming clear that Romney’s lousy numbers a few months ago had a lot to do with the tenor of a moment that has largely passed. This explains why the Obama campaign is doing its darndest to remind women of the stances that emerged at that juncture (and yes, Ross Douthat may have scored a recent point in our running debate on this subject.) But it also suggests that the Obama campaign may need to rethink how it’s going about trying to keep the gender gap as big as possible. Polls show that the campaign is doing very well, at least as well as in 2008, with college-educated, higher-income women of the sort that presumably respond well to a social-issue, cultural critique of Romney. But it’s doing much worse with working-class women. Maybe it’s time to remind these voters that, in addition to limiting their access to birth control, Romney also promises to keep them from getting the health insurance Obamacare would extend to them? That assumes, of course, that these voters even know they’re getting that health coverage—which my recent time in the field suggests is not necessarily the case.